“The army, in general, is not very badly accoutred but most wretchedly clothed and as dirty a set of mortals as ever disgraced the name of a soldier. 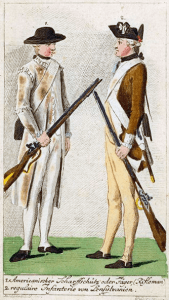 They have no clothes of any sort provided for them by the Congress… though the army in general, and the Massachusetts forces in particular, had coats given them by way of bounty for enlisting. And the neglect of the Congress to fulfil their promise in this respect has been the source of uneasiness among the soldiers. They have no women in the camp to do washing for the men [and they] not being used to doing things of this sort, and thinking it rather a disparagement to them, choose rather to let their linen rot upon their backs than to be at the trouble of cleaning them themselves. And to this nasty way of life, and to the change of their diet from milk, vegetables, etc. to living almost entirely upon flesh, must be attributed putrid, malignant and infectious disorders which broke out among them soon after their taking the field and which have prevailed with unabating fury during the whole summer. The soldiers, in general, are most heartily sick of the service and I believe it would be with the utmost difficulty that they could be prevailed upon to serve another campaign. The Continental Congress is very sensible of this and have lately sent a committee to the camp to consult with the general officers upon some method of raising the necessary forces to serve during the winter season, as the greatest part of the army that is now in the field is to be disbanded upon the last day of December. Whether they will be successful in their endeavours to persuade the soldiers to re-enlist or not, I cannot say, but am rather inclined to think that they will. For as they are men possessed of every species of cunning and artifice, and as their political existence depends upon the existence of the army, they will leave no stone unturned to accomplish their designs. Notwithstanding the indefatigable endeavours of Mr Washington and the other generals to arrange and discipline the army, [there is no] tolerable degree of order and subordination… in tzhe rebel camp. The doctrines of independence and levelism have been so effectually sown throughout the country, and so universally imbibed by all ranks of men, that I apprehend it will be with the greatest difficulty that the [junior] officers and soldiers will be ever brought to any tolerable degree of subjection to the commands of their superiors. 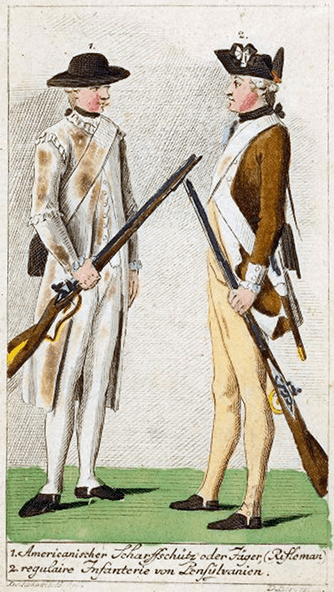 Many of their leading men are not insensible of this and I have often heard them lament that the very spirit which induced the common people to take up arms and resist the authority of Great Britain, should induce them to resist the authority of their own officers, and by that means effectually prevent their ever making good soldiers. Another great reason why it is impossible to introduce a proper degree of subordination in the rebel army is the great degree of equality as to birth, fortune and education that universally prevails among them. For men cannot bear to be commanded by others who are their superiors [except] in having had the good fortune to get a superior commission, for which perhaps they stood equally fair. And in addition to this, the officers and men… in particular regiments are most commonly neighbours and acquaintances, and as such can with less patience submit to that degree of absolute submission and subordination which is necessary to form a well-disciplined corps.